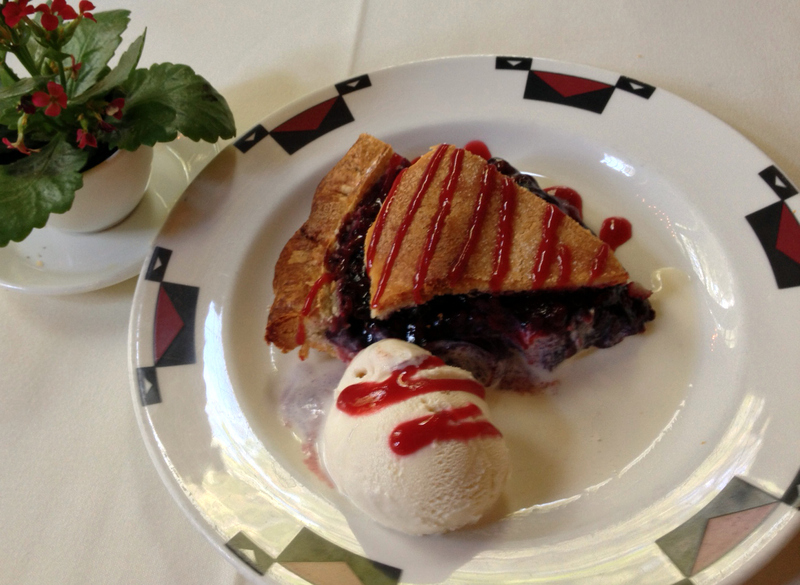 The Ahwahnee has been serving Boysenberry Pie in Yosemite National Park for over 50 years! Boysenberries – a cross between raspberry and blackberry – make a delicious summer dessert pie especially when served with vanilla ice cream. If you can’t join us in Yosemite for pie this summer, we have included the recipe below. However, we think Boysenberry Pie tastes best when consumed with a view of Yosemite from The Ahwahnee Dining Room. In a sauce pan on a low heat add frozen boysenberries and slowly cook for 5 minutes. In a bowl combine sugar, gelatin and salt and mix. Add sugar mixture to sauce pan. Cook for another 5 minutes. Stir often to avoid burning. Set aside and let cool. In a food processor add flour, salt, sugar and softened butter. Turn on and mix ingredients until they are evenly distributed. Then add water all at once. Turn off food processor as soon as the dough binds and comes away from the sides of the bowl. Roll into a ball and refrigerate for one hour. Roll out dough on counter top and form rolled out dough into 10 inch pie pan. Preheat oven to 350’F and bake pie shell for 5 minutes. Roll a top for a the pie and cover with a towel. Place filling in shell and place top on pie egg washing the pie rim to seal. Cut 4 slit in the top of the pie and egg wash the top. Place in the 350’F and bake until golden brown (around 15 to 20 min). Cool and serve. We’re celebrating in Yosemite! This year marks the 150th anniversary of the Yosemite Grant Act, the first piece of legislation in history to set aside public lands for all citizens. Signed by President Abraham Lincoln in 1864, the Mariposa Grove of Giant Sequoias and Yosemite Valley were preserved as public lands for Americans by the Yosemite Grant for all time. 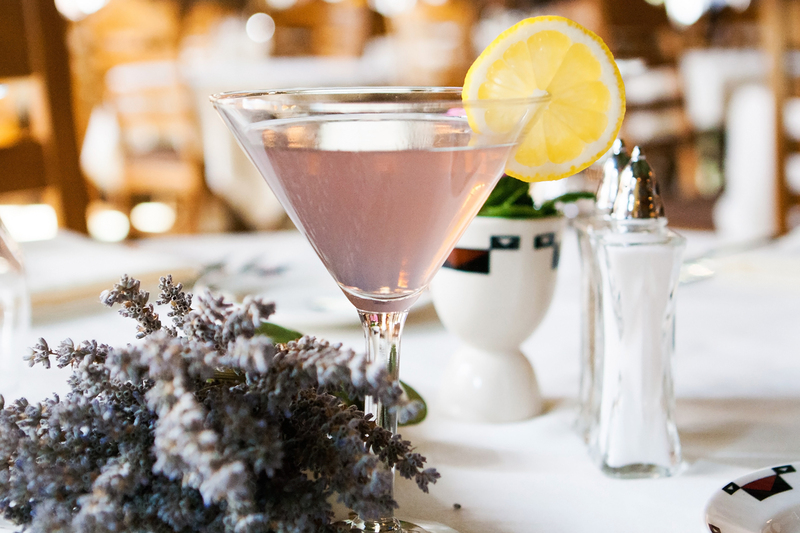 This historic act led to the creation of national parks, known as “America’s Best Idea.” In honor of this 150th anniversary – a sesquicentennial – we have created the Sesquicentini cocktail at The Ahwahnee. 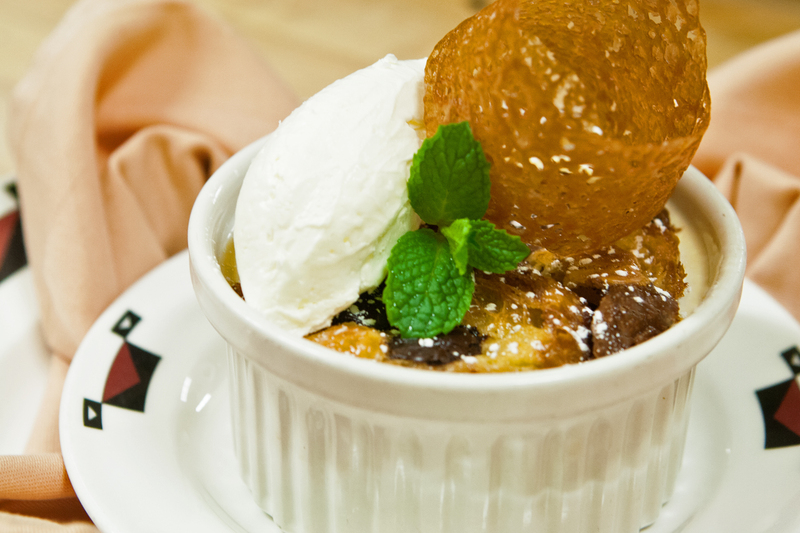 If you can’t celebrate with us in the park this year, you’ll find the recipe below. Wherever you are, we hope you will raise a glass to toast the Yosemite Grant Anniversary and one of America’s greatest legacies. If you can join us for the celebration, consider reserving the Yosemite Grant 150th Anniversary Experience at The Ahwahnee, Yosemite Lodge at the Falls, Curry Village or Wawona Hotel. This package includes lodging in Yosemite, Yosemite Grant souvenirs and tickets for the Valley Floor Tour. For a few weeks each year in February, if the water is flowing in Horsetail Fall, photographers and park visitors gather at sunset for an amazing natural display. The ‘natural firefall’ appears when the angle of the winter sun strikes the flowing water of the waterfall at sunset, making it appear to glow with reds and oranges, like fire cascading down the cliffs on the shoulder of El Capitan. This natural phenomenon is referred to as a ‘firefall’ in Yosemite due to the fact that an actual fire fall occurred in the park every summer when a bonfire built on top of Glacier Point was pushed over the edge to create a spectacular light show for the park visitors below at Curry Village in Yosemite Valley. Though the actual Yosemite Firefall was discontinued in 1968, park visitors can still witness the same type of breathtaking display at Horsetail Fall. 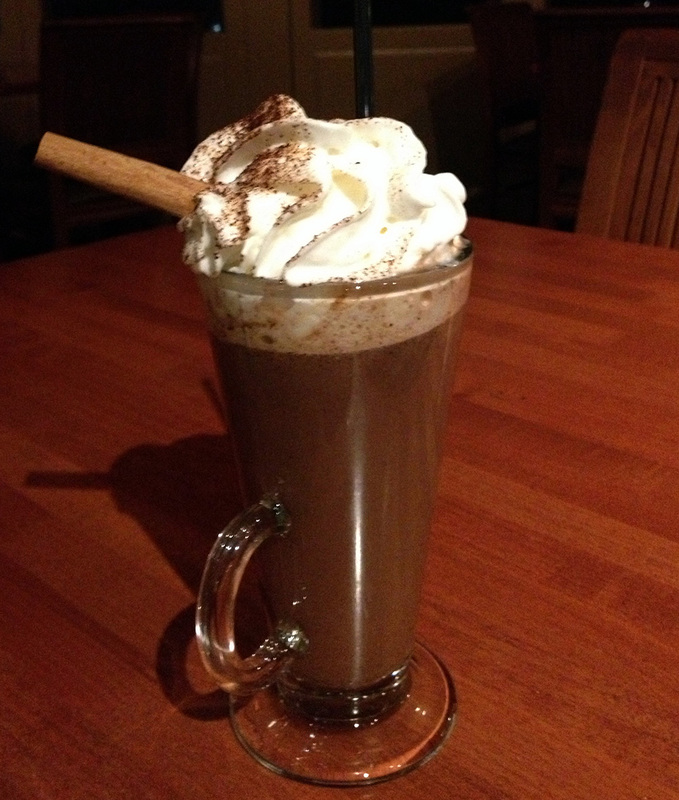 Celebrate Yosemite’s Firefall in all its forms with this cocktail at The Ahwahnee Bar – sure to warm you up on a winter’s evening! 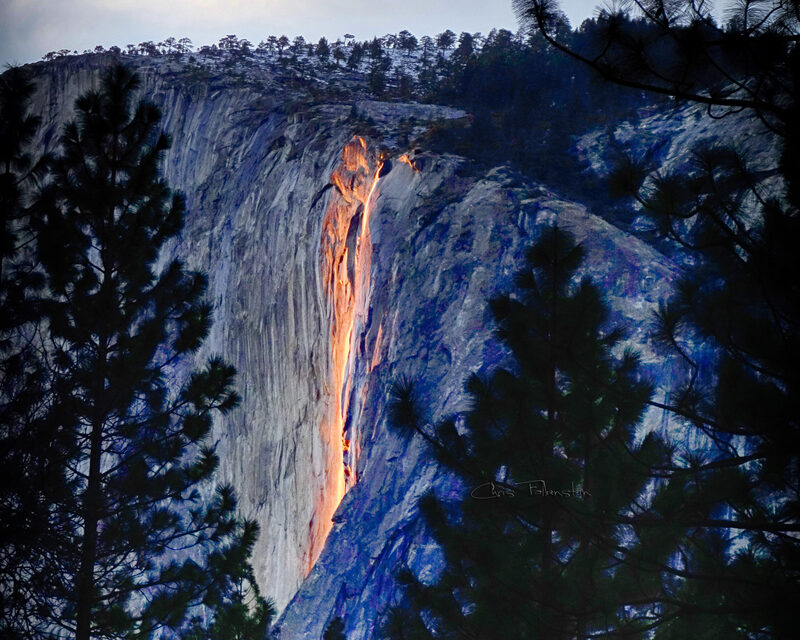 Horsetail Fall at sunset on February 13, 2014. Photo by Chris Falkenstein.